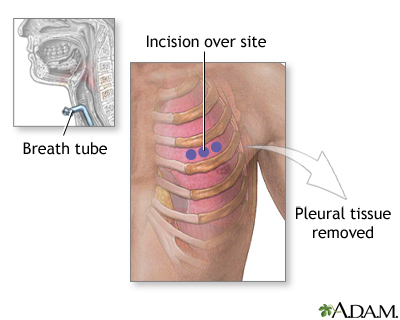 In an open pleural biopsy, a small piece of the pleural tissue is removed through a surgical incision in the chest. After the sample is obtained, a chest tube is placed and the incision is closed with stitches. Abnormal results may indicate tuberculosis, abnormal growths, viral, fungal, and parasitic diseases.